Fancy a FREE Movie Ticket? 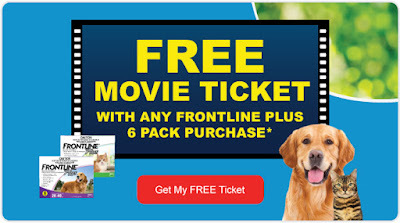 For a limited time only get a FREE Movie Ticket with any Frontline Plus 6 pack purchase when you shop at VetShopAustralia.com.au. Protect your pet from fleas and ticks plus treat yourself today!